But when I sat down to revisit some of my faves, my shortlist had 30 films on it. I’ve now narrowed that down to ten but these films are all wonderful in their own ways… so no particular order. After much deliberation, here’s what I came up with along with my reasons for including them. A western film that manages to also be uniquely Australian, where the desert landscape of Northern Territory is a character. It turns an unflinching eye on our racist, colonial history when an Aboriginal man must flee after committing a murder in self-defence. I’m a sucker for a great horror film and this is a cracker – as a single mother copes with grief from the death of her husband and the fears of her young son, battling an evil presence that invades her home. A hilarious dark comedy that follows a deadpan Noah Taylor through one hellish sharehouse scenario after another. This is the kind of generation-defining film that really sticks with you in your twenties. This mesmerising documentary offers an inside look into Australia’s most notorious apocalyptic cult. It combines home footage and survivor accounts to explain how Anne Hamilton-Byrne was able to steal and torture 28 children over 21 years. I recently re-watched this Australian classic and it is every bit as good as I remembered. The plot revolves around a central mystery, tightly drawing together four couples in a tangle of love and deception, while critiquing marriage and relationships. A radical film that absolutely lives up to the hype. Constructed entirely from existing film and television footage, it’s a mashup of Australian popular culture that manages to critique everything from masculinity to our treatment of refugees and Aborigines. I had no idea that editor Jill Bilcock worked on so many classic Australian films – as a result, this doco is not only a fascinating exploration of the art of cutting a film, but also a loving tribute to Australian cinema over decades. A searing war film about a group of journalists captured during the 1975 Indonesian invasion of East Timor. This real-life story, with magnificent performances led by Anthony LaPaglia, grips you all the way to the horrifying conclusion. A touching and brave indie film about a teenage girl whose parent is undergoing a gender transition. But on a deeper level, it is really about navigating parent-child relationships when the child is in the process of becoming an adult. 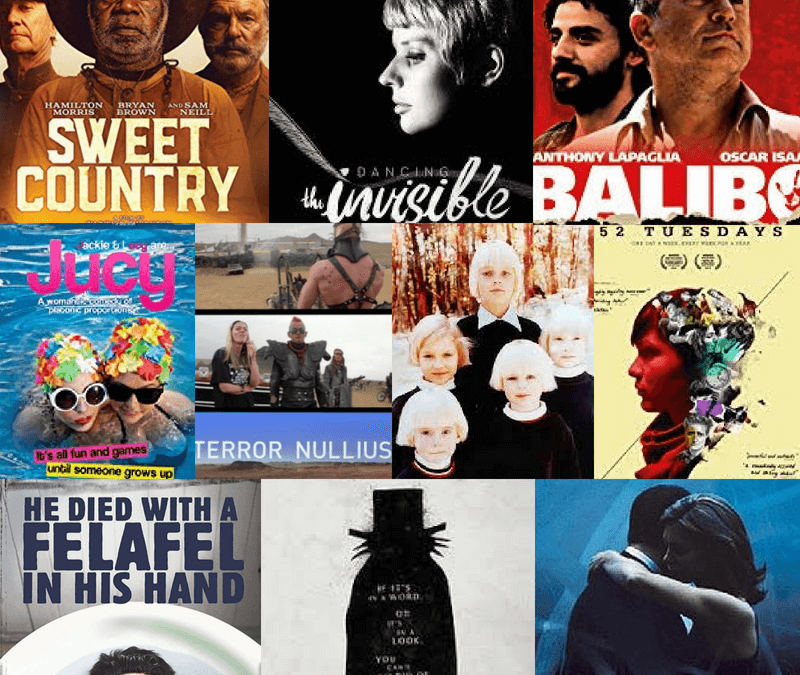 Somersault, The Daughter, Pawno, Rabbit Proof Fence, Walking on Water, Holding the Man, Chasing Asylum, and MANY MORE! Almost all currently streaming on Ozflix!